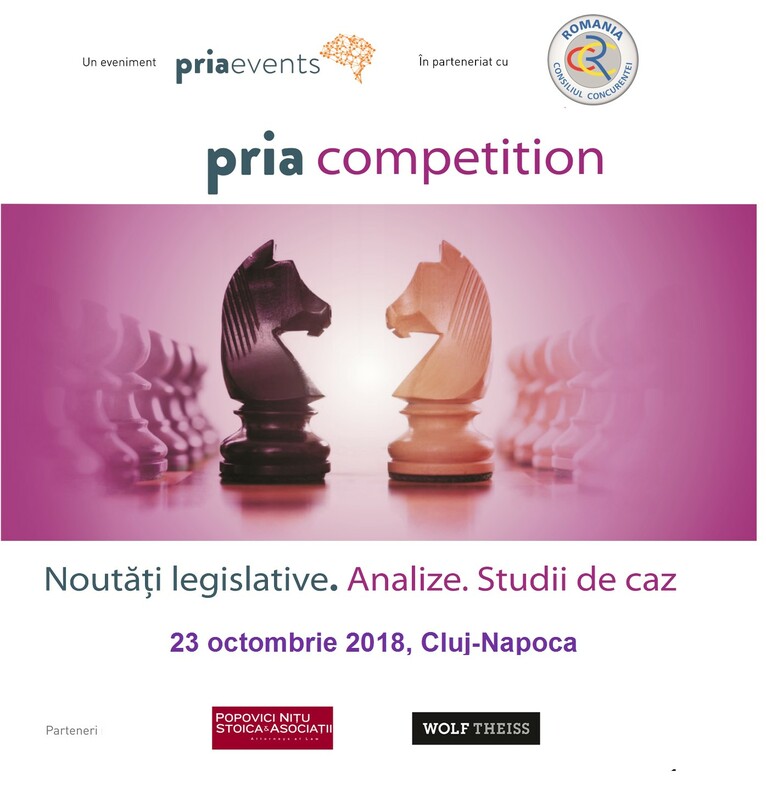 PRIAevents and Competition Council are organizing PRIA Competition Conference, the most important event dedicated to competition, on October 23rd, 2018, starting at 10, for the first time in Cluj-Napoca. The event will take place at Opera Paza hotel, Cristal Hall. PRIA Competition Conference will bring together all sectors of the economy directly interested in Cluj – IT, industry, health and pharmaceutical, financial – banking, insurance, retail, energy, telecom, auto , environment, legal, agriculture, construction and real estate, services and not only. Why Cluj-Napoca? Because it is the city with the highest development of the last years, being chosen by many companies for investment, but also because it has generated many successful entrepreneurs. It is a dynamic city for many business sectors, it is the smart city, and has the same GDP per capital as Bucharest and, last but not least, has one of the most developed academic backgrounds and excellent student results. This important event is of interest to top managers – presidents, general managers, contractors, development directors, strategy directors, operations directors, legal directors, lawyers and lawyers, as well as professional associations, chambers of commerce, embassies, consultants , investors, economists, teachers and journalists. Regardless of where you work in, if you want to sell or buy a company, you must receive the approval of the Competition Council. Members of professional associations also need to know which lines should not be counted when it comes to competition. And state-owned companies must respect the competitive environment. And the authorities must be vigilant in preserving such an environment. Competition is a vital mechanism of the Romanian economy and the Competition Council in Romania is having a very important role in ensuring a healthy competitive environment. This encourages efficiency and innovation and reduces prices. Also, companies are encouraged to provide consumer goods and services in the most favorable terms. 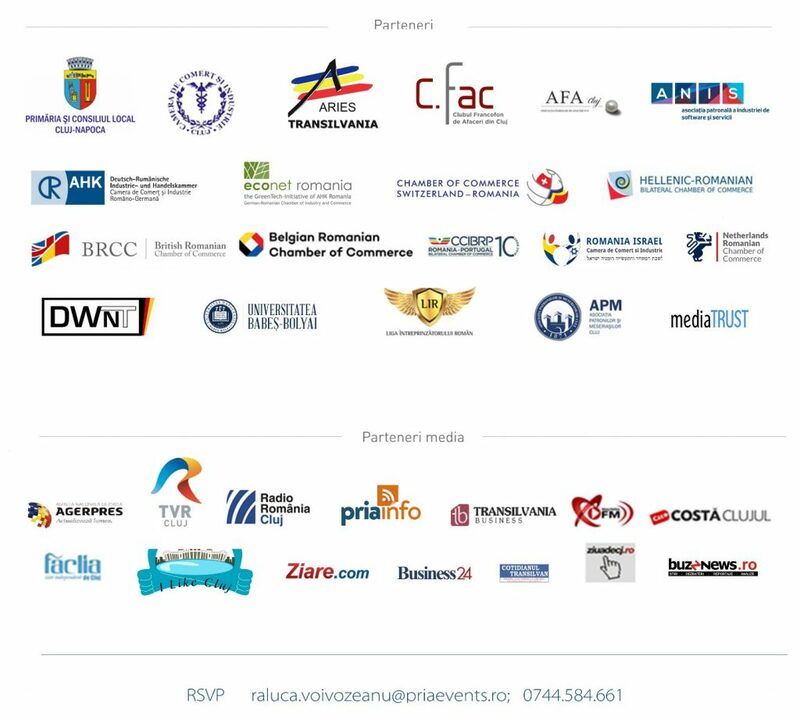 Managers, entrepreneurs, juridical directors and acquisition directors of companies from all business sectors in Romania are interested in competition regulations because Competition Council advises important business mater from how companies fix their prices to authorizing million M&A transactions. In this context, PRIA Conferences and the Competition Council invites you, to attend this complex event completely dedicated to competition environment for business. During PRIA Competition conference you will benefit from hearing legislative novelties regarding competition, high-level analysis and case studies of the most important competition investigations of this year. The focus is still on the fight against cartels, abuse of dominant companies in their activity sector, mergers and acquisitions, and against unfair competition. Therefore, competition policies must be known and understood by all those involved in the economy. Companies must know ways of how they can be protected by legislation if they become victims of anti-competitive practices, and which are the penalties they can receive if they decide not to respect competition rules. It is very important for companies to know these regulations in the business field, but for individuals. Participate to PRIA Competition Conference to analyze the legislation novelties and challenges, but also to find out when they will enter into force. Meet the most important representatives of the Competition Council and other state authorities, representatives of Chambers of Commerce and embassies, representatives from the energy, retail, telecom, media market, the construction and real estate, IT&C, banking sector, pharmaceutical market, transport and logistics, tourism and mass media. PRIAevents conferences bring always into attention the most important and current issues of debate in each business area and benefit of a large number of participants and mass – media representatives. With an experience of over 12 years in organizing premium business events, PRIAevents team is recognized for organizing top events of the most representative sectors of the economy. Which are the suggestions of the business field, embassies and chambers of commerce? PRIA Competition Conference is part of PRIAevents series that bring into attention to the most important and current issues of debate in each area and has a large presence of participants and mass – media. With an experience of over 12 years of planning premium events, our PRIAevents team is recognized for organizing top events of the most representative sectors of the economy.